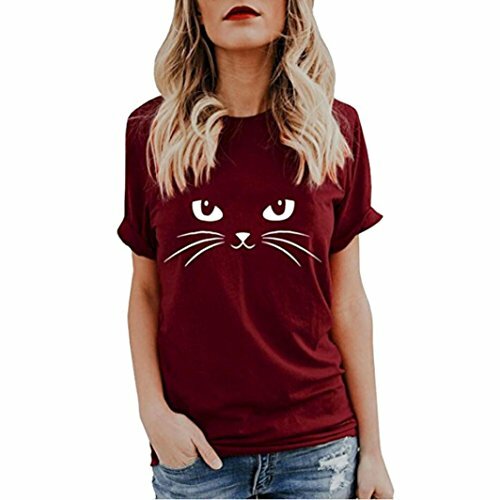 Haogo Women's Short Sleeve Loose Batwing T-shirt Tops.It is very soft and comfortable to touch and wear.Ideal gift for your family, lover and friends. Material: 95% Polyester + 5% Spandex Machine washable, comfortable and soft Unique style, you deserve to have one Package includes: 1x Women Tank Top ATTENTION: Please carefully read the Size Chart that we list below(Not Amazon size chart), thank you! Size Chart: S: Bust: 84cm (33.1in), Waist: 76cm (29.9in), Length: 65cm (25.6in), Shoulder: 33cm (13in), Hem: 92cm (36.2in) M: Bust: 90cm (35.4in), Waist: 81cm (31.9in), Length: 66cm (26in), Shoulder: 34cm (13.4in), Hem: 97cm (38.2in) L: Bust: 95cm (37.4in), Waist: 86cm (33.9in), Length: 67cm (26.4in), Shoulder: 35cm (13.8in), Hem: 102cm (40.2in) XL: Bust: 101cm (39.8in), Waist: 92cm (36.2in), Length: 68cm (26.8in), Shoulder: 36cm (14.2in), Hem: 108cm (42.5in) OTHER NOTES: 1.All dimensions are measured by hand, there may be 2-3cm deviations. 2.Color may be little different due to monitor, hope for your understanding. 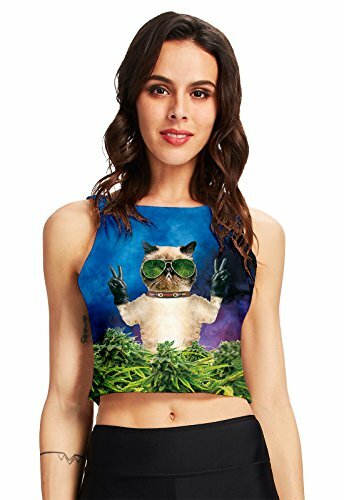 RAISEVERN Women's Funny Casual Racer Back Tank Top Sleeveless Tops Shirt Multi-Color S-XL Type: Racer Back Tank Top Material:Polyester and spandex Gender: Women Femal Size Chart S:Bust 31.5" ;Waist 29.5";Length 25.5" M:Bust 33.4" ;Waist 31.5";Length 25.9" L:Bust 35.4" ;Waist 33.4";Length 26.3" XL:Bust 37.4" ;Waist 35.4";Length 27.1" Color:As different computers'displayer,the color will have a little difference from the pictures. If you have any questions,please feel free to contact us,we will help you solve it. Due to manual measurement,please allow 0.5-1.0inch/1-3cm error. 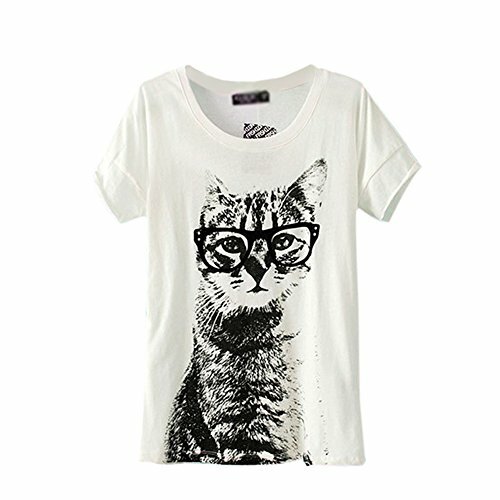 ETOSELL Retro Lady CrewNeck Short Sleeve T-Shirt Cute Cat Print Loose Tops Size Chart: M/US 8/UK 10/EU 38------Length: 65cm/25.59"-----Bust: 92cm/36.22"-----Shoulder: 38cm/14.96" L/US 10/UK 12/EU 40-----Length: 66CM/25.98"-----Bust: 96CM/37.8"------Shoulder: 39cm/15.35"
Womens Summer Cute Cat Print Tops Short Sleeve T-Shirts Blouse Product Description: This O Neck Pleated Well designed,relaxed,summer makes you more attractivem,Great for party,Daily,personality,I am sure you will like it! 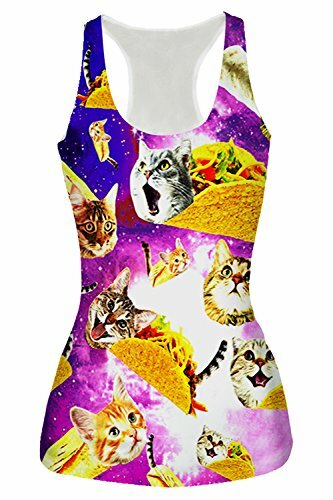 Season:Summer Gender:Women Occasion:Daily,Casual Material:Polyester Pattern Type:Print Style:Casual Sleeve length:Short Sleeve Collar:O-Neck Fit:Fits ture to size Thickness:Standard How to wash:Hand wash Cold,Hang or Line Dry What you get:1 X Shirt Size:S Bust:92cm/36.2" Sleeve:22cm/8.7" Shoulder:41cm/16.1" Length:66cm/26" Size:M Bust:100cm/39.4" Sleeve:23cm/9.1" Shoulder:43cm/16.9" Length:68cm/26.8" Size:L Bust:106cm/41.7" Sleeve:24cm/9.4" Shoulder:45cm/17.7" Length:70cm/27.6" Size:XL Bust:112cm/44.1" Sleeve:25cm/9.8" Shoulder:47cm/18.5" Length:72cm/28.3"
RAISEVERN Women'S Summer Sleeveless Crop Top Print Graphic T-Shirt Casual Short Tank Top Material Polyester and spandex. Hand wash and machine wash. Fashion Design Fashion style and colorful pattern of 3D printed tank top is vibrant. Occasion Perfect for workout, sports, yoga, beach, summer, etc. 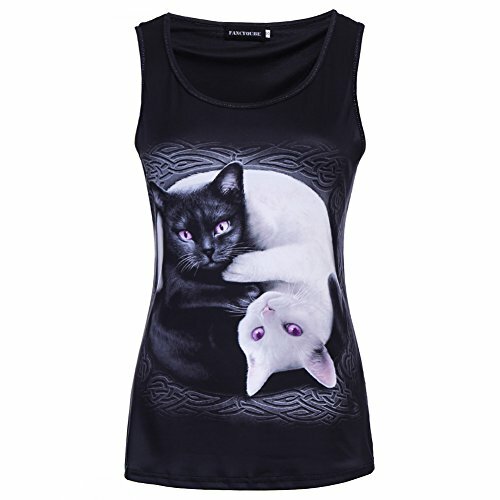 Soft Fabric The fabric of the summer sleeveless crop top for women is soft and elastic. One Size Free size. Bust---29.9 inch, Length---15.7inch. 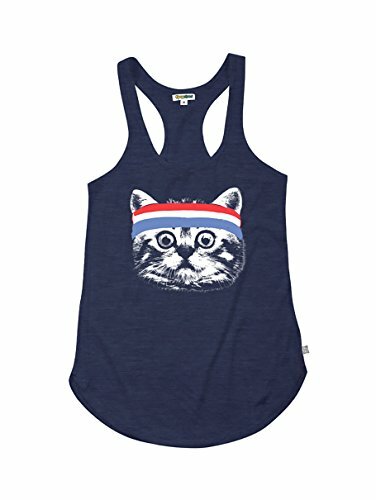 Looking for more Cat Shirt Top similar ideas? Try to explore these searches: Corvette Led Tail, 120v Spiral e26 Medium Base, and Fish Fork Grande. 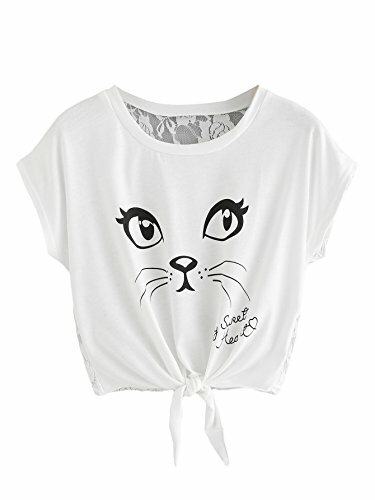 Look at latest related video about Cat Shirt Top. Shopwizion.com is the smartest way for online shopping: compare prices of leading online shops for best deals around the web. 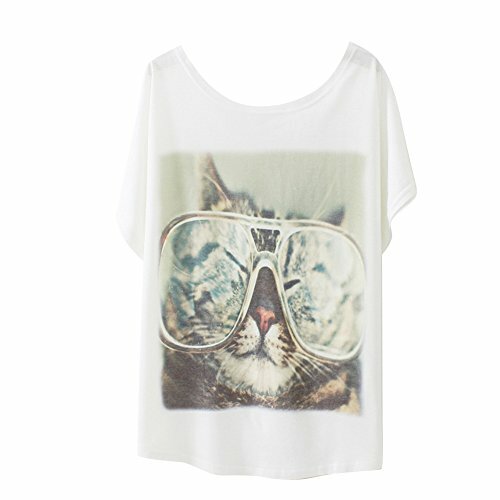 Don't miss TOP Cat Shirt Top deals, updated daily.